Ill tell you right now it was not the typical cruise for me. Usually I am with my husband where we have full days at port and have dinner…ma bye a show…and to bed we go. 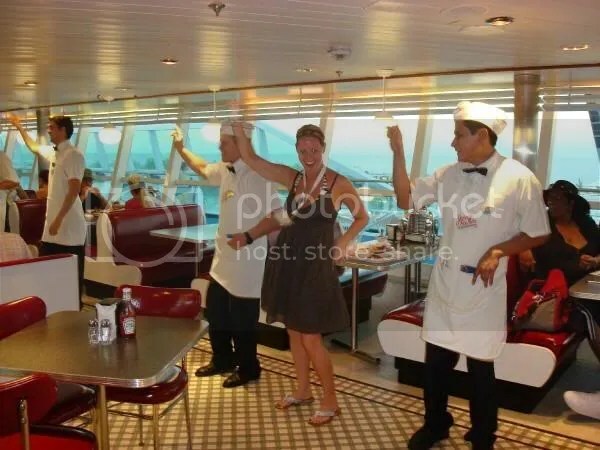 This cruise was a big party! 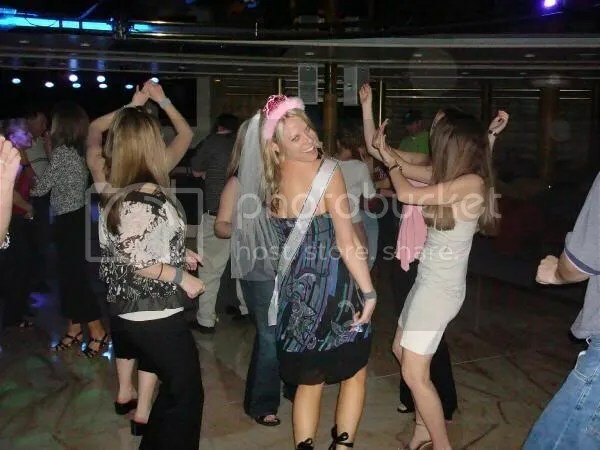 We started by decorating her cabin with all kinds of streamers and stickers…..we also decorated the bachelorette so all were sure to notice the purpose of this trip for her 🙂 She had on her veil, tierra, sash, and blinking accessories of all kinds. She was definitely noticed by everyone. We did Karaoke and sang “Its My Party”….Oh did the crowd love us!! !haha between both of our terrible voices we surely were not candidates for American Idol, that’s for sure! We spent our last day at Coco Cay laying in the sun getting a tan listening to Calypso music. I rented myself a raft and floated in the Caribbean for a while. 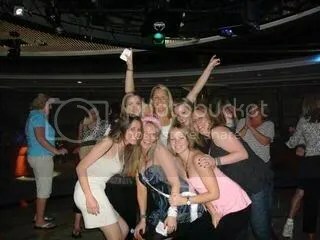 I know she had a blast and so did all the bridesmaids on this cruise!!! !